In the Name of the Father and of the Son and the Holy Spirit, One God. Growing up I was raised no particular religion and like most modern American families, religion or spirituality in general never played a role in my life up to this particular point in my young life. My father although baptized a Roman Catholic was non-practicing and not even a Christian anymore, my mother was a non-practicing Baptist. My grandmother who I lived with most my life was a devout Roman Catholic from the Philippines but that was the limit of my exposure. My parents didn’t not let me be baptized according to my Grandmothers wishes when I was born. I don’t remember ever going to Church or having anything to do with religion at all, however that all miraculously changed one sunny day in Corona, California when a friend and I were on the seventh grade bus ride back home from school. I am not really sure what brought about the conversation since it has been years since then but a discussion about his religion started, he was a Sikh a member of Sikhism a religion founded in India by Guru Nanak in the fifteenth century. He started telling me about Sikhism and what they believed since I have never even heard of this religion before; I was interested in what he was telling me oddly. Literally as we were pulling up to our bus stop about to get off to walk home he asked me one question, “What religion are you?” My response was “I don’t know” and we got off the bus and walked the five minutes home. it seemed to echo in my head over and over. That’s a good question, what religion was I? I wasn’t raised as anything, not even a run of the mil unknowledgeable “Christian”. I didn’t know anything about religion not a single thing; I didn’t even really know who Jesus was at this point. Luckily for me I had a world history book for kids in my room that had history about everything, inside this book I found a few pages about World Religions and a bunch of illustrations of most of the major religions of the world including Christianity, Judaism, Islam, Buddhism, Sikhism, Hinduism and Taoism. Each religion had a picture of its symbol the Cross, Start of David, the Khanda and so on. Not something most seventh grade kids think about in America these days. I don’t know why this question was all of a sudden so important to me, it was never important to me before, Why now? This became my obsession, my true interest and my only passion to answer these questions. I started to read about these world religions in books from school and on our slow dial up internet connection. During this study of world religion I started to have an interest in Buddhism. I focused my entire self to the study of Buddhism, I went to the public library and read multiple books about Buddhism, eventually I decided that I want to follow this path and I became a Buddhist. I devoted all my free time and even my school time to the study of Buddhism so much that my parents were starting to get upset about my interest in religion. As I dove into the study and practice of Buddhism I developed a particular interest in Soto Zen Buddhism which has its origins in Japan. During my time as a practicing Buddhist something seemed missing. In Buddhism there is no idea or belief in a “Personal” God or Deity, salvation was supposed to be achieved by yourself, it started to make no sense to me, in my mind there had to be more to this life and the next then a goal of achieving absolute nothingness. I started to get dissatisfied with the idea of no Personal and loving God that we were eventually coming back to after this life. Overtime I started to think about the idea of God, there had to be a reason for this life, there had to be a reason for the next life. It didn’t seem logical that this world was an accident. So I started to search again. I started searching through the world religions again and I looked to my neighbors who were Sikh and I started to remember what he had taught me about Sikhism. Sikhism did have some aspects of Buddhism that I thought I believe such as reincarnation but it also had aspects that I believed that Buddhism didn’t have, and that was a God. I don’t know when I exactly abandon Buddhism but when I did I started to dive into Sikhism. Since my neighbors were Sikhs I had plenty of resources to learn about this tradition, and gain firsthand knowledge by visiting Sikh temples which are called Gurdwara’s. After a few months a decided to become a Sikh, my neighbors were very enthusiastic about my conversion to their religion they took me to the Gurdwara every time they went if I was able, and helped me along. Like my study of Buddhism once I converted to Sikhism I completely submerged myself into study and practice. As a Sikh I learned the complete history and belief system of the entire religion more than any of the born Sikhs knew. With being a Sikh came the cultural submersion into the Punjabi culture which was an awesome experience. I remember there were times when we were at a Punjabi event and people I didn’t know would make fun of me for “pretending” to be a Sikh and my friends would come to my defense and explain that I knew more about the Sikhism than anyone else they knew. During this time as a Sikh was a troublesome time, my parents were starting to wonder about my new interest and quest for religion. There were times I remember that I was so involved in my journey and I concerned myself with nothing else that at times he wouldn’t let me go on Sunday to the Gurdwara and would question and criticize my journey towards a life of faith and religion. This “mini-persecution” as I like to call it was pretty hard to handle for someone in the eighth grade, I couldn’t figure out why my parents were so negative about my religious journey, in my mind you think it would be the very opposite. Well this opened up a new can of worms. I believe in God but why would God have me go through something like this? I started to feel alone and that the God I believed in wasn’t listening. Sikhism is a monotheistic religion but the concept of God is not the same as in the Christian theology where God is knowable yet unknowable but completely personal loving Father in heaven that cares about your eternal soul. I started to look for the Personal and loving fatherly God that would be always be there that would look after me and bring me to him after this life’s end. I started to begin my search for this heavenly father that I yearned for, and I started studying the world religions yet again, but this time I went towards Jerusalem, I started studying the Abrahamic faiths of Christianity, Judaism and Islam. I looked at both Judaism and Islam in depth but didn’t agree with their theology, Judaism because of the cultural implications that goes with it and Islam because of its violent history and trend to convert by the sword. That left me with Christianity; I borrowed my grandmother’s bible and started to read it, in the pages of the New Testament I being to find what I was looking for, the personal and loving Father. I studied Christianity with the same zeal as I had any of the other religions all the while remaining a member of the Sikh faith. I did keep quite my new religious search because I didn’t want to draw any unwanted attention. I eventually decided through prayer and the Grace of the most Holy Trinity that Christianity was my home and my long search for the true God was over. I can’t exactly remember when I became a Christian there was no sudden realization but a gradual knowledge of the Truth. When I decided to become a Christian my study of my new faith become more in depth and zealous then with the previous religions I gave everything to this new journey. I started to attend Crossroads Christian Church a Protestant Church in Corona a few blocks away from my house and began a bible study there. I was placed in the Adult bible study by the pastor of the Church because my knowledge of the faith and the bible was more advanced than the rest of my age group. Eventually my parents found out that I was in an adult bible study and wouldn’t let me go because they didn’t want me being around other adults so their reasons were. Eventually I was “baptized” as a Christian at Crossroads and started to go to the adult bible study again anyways. I continued in my study of Christian theology and history by means of the Public library, the internet and bible study at the church. Although I had found the True faith my religious journey was far from over, as my study of Christianity progressed I started to see holes in what I was being taught by the pastors of the Protestant Church. During my studies of the Church I started to see terminology that was not taught or taught in a negative light by the evangelicals I was studying with such as Bishops, Priests, Deacons, Sacraments, Saints and Church Fathers. When reading the New Testament I saw the ordination of Deacons and Bishops and when I went to church on Sunday there were no Bishops or Deacons, why was this I asked? Well thankfully we had satellite TV with a Roman Catholic Channel called the Eternal World Television Network, this became my new favorite TV channel, here I learned about the Church Fathers, the Sacraments, and I found in the Catholic Church the New Testament Church, the Historic Christianity. I eventually came to the realization that the Protestant Crossroads Church that I had been “Baptized” into was nothing more than a by-product of the Protestant Reformation which has absolutely no historical basis for their theology in light of the traditions of Ancient Christianity. So when I came to this realization I immediately without hesitation wrote a letter to the bible study leader and the pastor of the church, told them I was leaving Crossroads for the Roman Catholic Church. This made my grandmother extremely happy as you can imagine, coming from Buddhism, Sikhism, and Protestant Christianity to Roman Catholicism was not an easy or short journey. Becoming a Catholic was a lot easier because of my grandmother, I was able to live my faith fervently and devote my self completely because of my dad said anything about it he then had my grandmother coming to my immediate defense. I began attending the same church as my grandmother, and felt more at home then I had ever before at the Protestant church. I saw what I was reading about in the New Testament. There were Bishops, Priest, and Deacons; there were liturgical services like I saw in the readings of the Church Fathers and the Sacraments and most importantly the belief of the real presence in the Eucharistic gifts. I loved my new church; I felt that I was finally home that I had found Christ’s True Church on Earth. 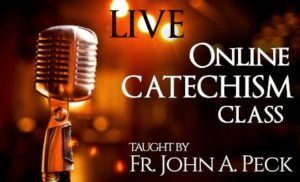 I kept studying Catholicism and saw no flaw in the theology of the church I was preparing to start my Catechism classes at Saint Edward Catholic Church and was excited like never before. God however works in interesting ways, one day while I was getting ready to watch the daily mass on ETWN they had something different from the Roman Mass that I was so used to already, they had an Eastern Rite Catholic Priest celebrating the Byzantine Divine Liturgy. 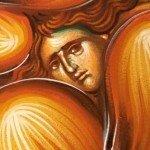 I was in awe at this form of the liturgy, “I knew not whether I was in heaven or on earth”. I had never heard of the Eastern Catholic churches. I got online and learned about the Byzantine Rite and was extremely interested in what seemed an “exotic” liturgical form. I found that there was a Byzantine Catholic church in Fontana which was only about twenty minutes from my house. So I a newly licensed driver with a car took a drive to it one Sunday and witnessed my first Divine Liturgy of St. John Chrysostom. My first experience of this liturgy was something that no words could describe so I thought. The next Sunday I went back and after making sure they were really part of the Catholic church, I decided to become a Catholic through the Byzantine Rite. During this time my mother had decided also to become a Catholic and she joined the Byzantine Catholic church with me and we started catechism classes at the Byzantine Church in Fontana. I even had my Roman Catholic grandmother who was hesitant at first start going to Byzantine Liturgy. After months of Catechetical instruction with the parish priest, my mother and I were to be received into the Byzantine Catholic church on Holy Saturday the night before Easter. She was “Baptized” and I was “Chrismated” in the Catholic Church. We became very involved in the parish life of the Church, made lots of friends and I started to serve as an acolyte. During this time I also started to learn about the Eastern Orthodox Church, I was pretty unfamiliar with Orthodox Church, I knew just through catechism that they used to be part of the Catholic church. I started to study them and wonder why they supposedly left the Catholic church. I started discussions with some friends at church about them and they were more familiar with Orthodox Churches then I was. 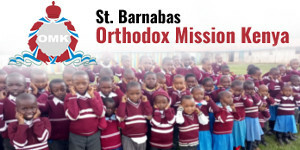 I also started joining in discussions with Orthodox Christians on an Orthodox web forum, trying to figure out why they “left” the Catholic Church. One Sunday I was given a book about the Papacy from an Orthodox perspective by a friend of mine who I think just wanted to help me understand the Orthodox opinion, I am not sure that she foresaw the forthcoming implications. I read this book and my faith in Catholicism was shaken at the foundation, I was not sure what to think, so I kept joining discussions with Orthodox Christians on the Orthodox web forum of Monachos, trying to convince them that they left the true Church while at the same time trying to convince myself. While on Monachos, I met the Priest who would forever change my life and my faith. His name was Father Averky Moreno, he was a Russian Orthodox Monk from Holy Trinity Monastery in Jordanville, New York. He engaged me in every discussion about the Orthodox Church, he taught me the differences between Orthodoxy and Catholicism he taught me history of the Church that I never knew and eventually taught me where the Roman Catholic Church separated from the Holy Orthodox Church. He sent me many books and spent a lot of time over the phone catechizing me properly teaching me about the Church Fathers and Councils of the Church. 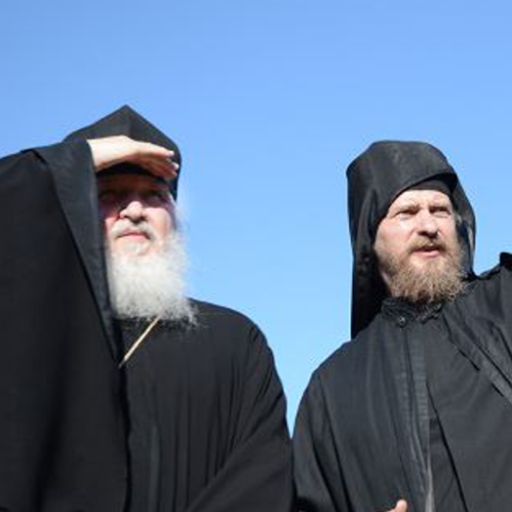 When I decided to leave the Catholic church for the Holy Orthodox Church, I relied on my new Orthodox spiritual father for guidance he directed me on my new path of Holy Orthodoxy. Before I could start my journey to Holy Orthodoxy I had to leave the Catholic church this was a difficult decision because me and my mother both came to the Catholic church together but I knowing the truth that the Holy Eastern Orthodox Church is the true unadulterated Church of Jesus Christ on earth could not stay a Catholic in good conscience. On the feast day of St. Nicholas at my parish night with the Byzantine Catholic Bishop visiting, I told my priest and bishop that I was leaving the Catholic church for the Eastern Orthodox Church and would no longer be attending St. Nicholas. My new Orthodox spiritual father during this process of leaving the Catholic church picked out a new Parish and new spiritual father who he would leave me in the care of. He sent me to St. Andrews Antiochian Orthodox Church under the spiritual care of Father Josiah. I loved my new Church I knew that in finding the Orthodox Church I had found the Genuine Church of Christ with no doubts in my mind, as I was in my catechumenate I was told to start looking for a patron Saint that I could try and model my life after and as I was looking through the Church bookstore I found Saint called Saint Nektarios I read about his life and I took his name at Holy Baptism. At Saint Andrews and exactly one year to the day I was received into Christ’s True Church by Orthodox Baptism on Holy Saturday of 2004. My journey to Holy Orthodoxy was long and lead me through many of the world’s religions but by the Grace of the Most Holy Trinity and with the intercessions of the most blessed and glorious lady Theotokos and all the Saints I was brought to the One True, Holy, Apostolic and Orthodox Church. Amen. I am bothered by the May 18th journey that the writer was baptized, again? I thought we believed in one baptism? My journey from 42 years as a Methodist to Orthodoxy (now 27 years) did not need a second baptism. Not knowing the circumstances, I’m going to offer a guess – it was very common in the past 40-50 years in Anglican and other liberal protestant churches to baptize “in the name of the Creator, Redeemer and Sustainer” – which I’m sure you can tell is NOT a Christian baptism. There are other reasons why a baptism can be necessary, and the primary one is that there is no evidence that a Christian baptism took place. Without passing judgment or making excuses, we do indeed believe in one baptism, but it must be a Christian baptism. Thank you. That is very helpful. I am currently providing support to a gentleman who has a theology degree from a Roman Catholic school. He was also a Buddhist and has recently found Orthodoxy. I forward the Journey to Orthodoxy to him and wanted to be able to respond to the second baptism mentioned in today’s article. Again Thank you for your timely response. Great story. It’s amazing how small the world is now,with modern technology. You can easily study world religions at the click of a button. I find more and more people have greater knowledge of world religions like never before. The greatest thing, however is that a lot of these people are now Orthodox! His Truth still shines through all the chaos. The reason this person was Baptized into the Orthodox Church is because of his traditionalist Orthodox views that there are no sacraments that are valid outside of the Orthodox Church and that if coming from a denomination that is in schism or heresy, that a full reception into Orthodoxy should be done. Being Orthodox, I believe, means to love all the souls ! Without limits, without constraints, without any obstacle ! Just simply, to love them ! 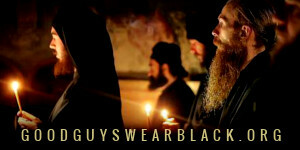 If somebody would ask me what is the Orthodox Church, I would say it is the Way of Life ! It is the Way of purifying our hearts, it is the way of fighting against the sin, against the passions ! It is the Way of having GOD with you, helping you at every moment in your life, to get your heart back to the state of perfection in which GOD created us ! The Way to get your heart back to GOD, with GOD’s help ! GOD works through the Holy Sacraments of the Orthodox Church ! The prove are our Holy Fathers, the Saints and the Holy Martyrs. This is Our most valuable Holy Orthodoxy ! Wonderful story ! Thank GOD ! Thank GOD for His care of all the souls ! Wonderful story! Thank you for sharing it! God grant you many years! Regarding “second baptism”, this man’s baptism into the Orthodox Church would be considered his first and only baptism. The authority and grace to perform the sacraments has been given to the Church established by the oupouring of the Holy Spirit on Pentecost. The Apostles received the grace and authority to perform the sacraments and consecrated bishops in order to do the same. These bishops ordained clergy with the laying on of hands to give the grace and authority to also perform the sacraments. This grace and authority depends upon Apostolic Succession; remaining in communion with the Apostolic Church; and being recognized as a true bishop or priest by the One, Holy, Catholic, and Apostolic Church. When the Papacy broke away entirely from the Apostolic Church, the Papacy ceased to be a part of the body of Christ and no longer had the grace and authority to perform true and sanctifying sacraments. 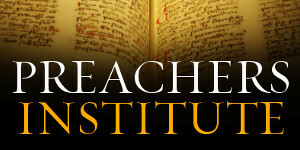 Protestantism does is even further removed from the Apostolic Church and possesses niether the Apostolic faith nor the form of Apostolic succession, and so Protestant ministers do not perform true sacraments (and most of them today do not even pretend that their sacraments are effective for anything). According to Eph 4:5, there can only be “one baptism”, but there can also be only “one faith”. 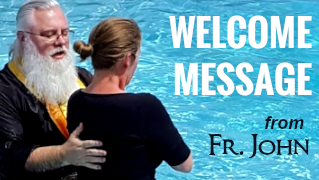 When a person receives a true baptism, they are received into the One, Holy, Catholic, and Apostolic Church. Outside of the “one faith”, there can be empty sacramental forms, but no true sacraments. When a person is outside of the Church and given a form of baptism, they are not joined to the Church but to a Christian sect that is not the body of Christ. For this reason, even Roman Catholic clergy, who are members of a heretical sect that is not the Church, may be received into the Orthodox Church by baptism (the Byzantine Catholic patristic scholar and monastic abbot Fr. Placide Deseilles is an example). Such a baptism is not considered a “second baptism”, but rather the first, because it is the first baptism into the Orthodox Church which is the One, Holy, Catholic, and Apostolic Church. Sometimes Orthodox priests Protestant or Roman Catholics without baptizing them, but in such a case this is done only out of recognition that an empty sacramental form was previously administered. Then, when the convert is received into the Orthodox Church, that former empty sacrament becomes completed and sanctified. Normally, we don’t allow links in the commments of JTO, but these are worthwhile. It is always interesting to find a young person seeking truth in today’s post modernist world of southern California. I hope he can stay the course. I wandered aimlessly through life between my teen years until I was 33. Strangely enough I too found my way to St. Andrews in Riverside from Crossroads Church in Corona. I can honestly say he has found a solid spiritual father in Fr. Josiah as he does not sugarcoat truth.